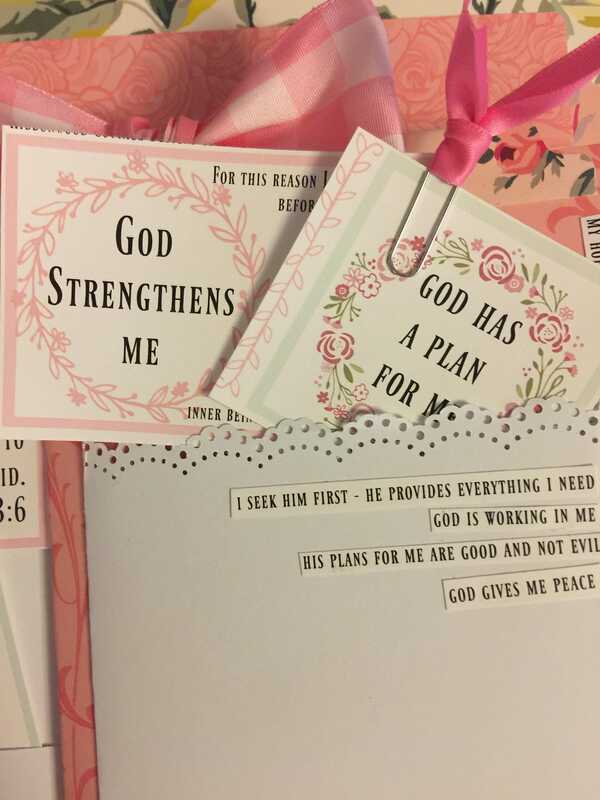 Beautiful and decorative Scripture Declaration Journal and Planner cards have a two fold purpose - To strengthen, encourage, steady and build you up. They also have the purpose of being used decoratively in an everyday planner, Bible, or journaling notebook. When being used they will enable you to familiarize specific scriptures that focus on God's plan and destiny for your life. 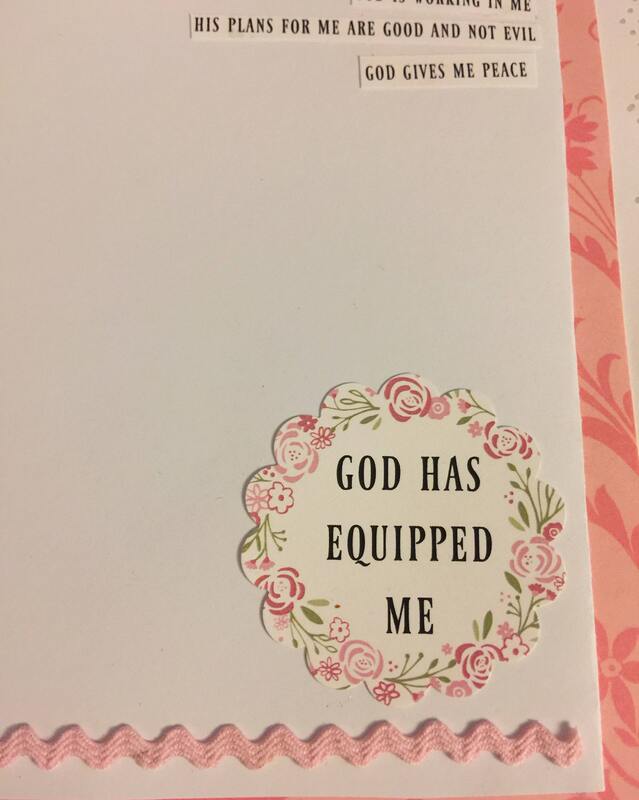 *Each month's Scripture Declaration cards will have a different theme. There will also be one planner style craft item that I will show how to make. The theme of this months' scriptures and declarations focus on God's plan and purpose for your life. 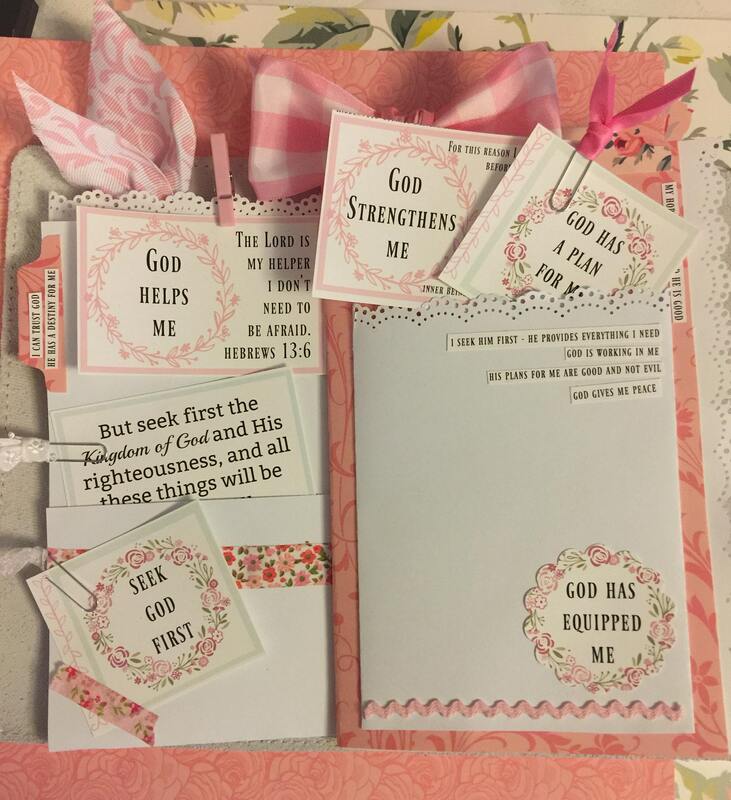 The added embellishment is a planner style pocket that can be attached to the inside page of a Bible, notebook journal or planner. See all the pictures to see what I am referencing. *Basic craft items like scissors, glue, paper clips, paper punches, ribbon and trim were used for added embellishments. 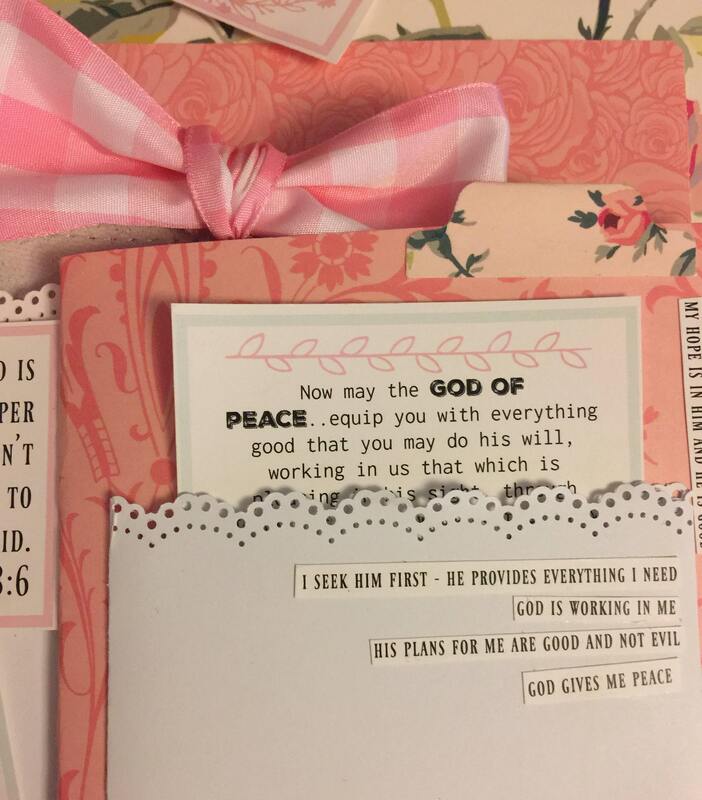 These Scripture Declaration cards are decorative in nature, but powerful in purpose. Every believer knows that God's word is an unending source of direction and wisdom. It also steadies us when we navigate rough waters during certain seasons of life. Using a planner in my everyday life is important for me to keep track of schedules, church and business, etc. I love to add decorative elements to my pages. I have also found that scriptures and powerful quotes are a wonderful source of strength just by reading and saying them out loud. 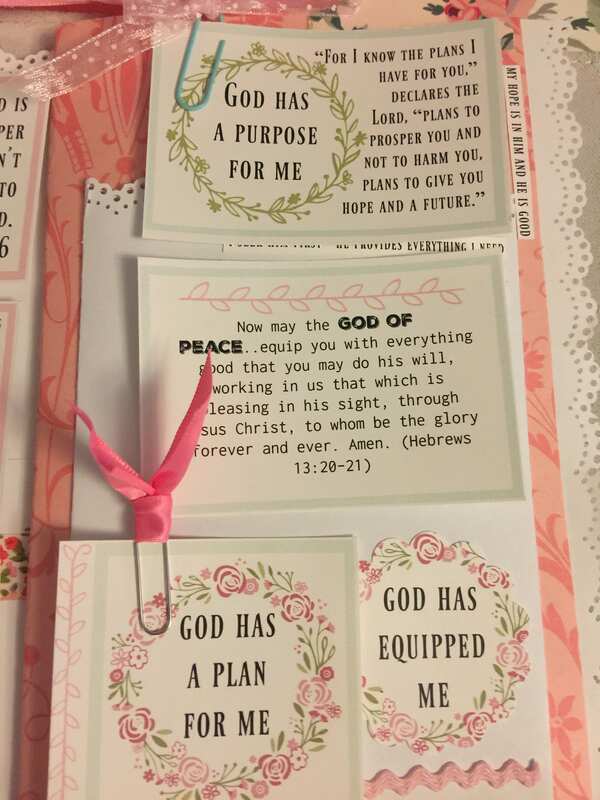 The idea for these Scripture Declaration Journal and Planner cards came from my love of God's word, and my need for my planner! For me the two go together! 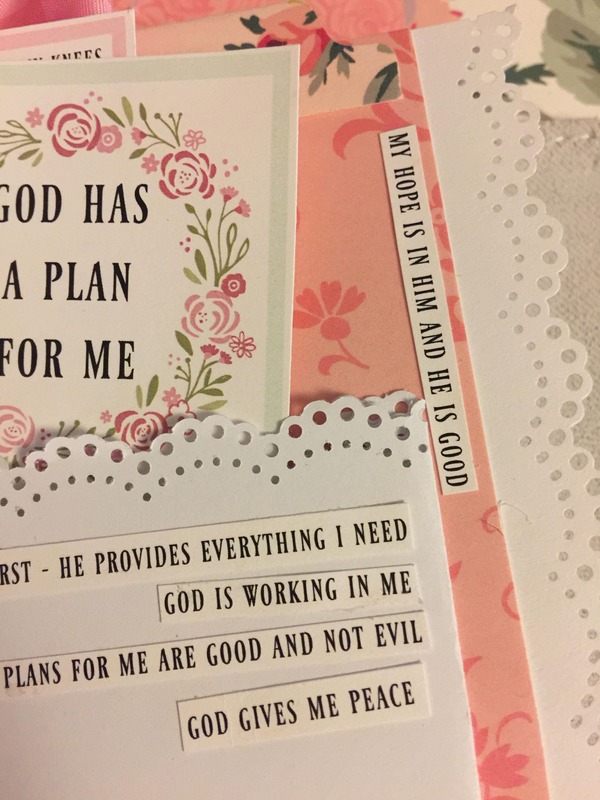 I am a very artistic person and I love all the colors that God has created, and I love seeing those colors combined beautifully with scriptures in my planner. My father was actually a world renowned minister who memorized and knew thousands of scriptures. I was fortunate to study God's word with him from a very early age. I also traveled all over the world with he and my mother as he ministered in different churches and venues. He loved to minister and give words from the Bible to people during services. I watched how it touched and comforted them. Over my lifetime, I have found that my main source of stability and strength is the word of God. I love it. I think reading it, saying the scriptures, declaring them can make a difference in our lives. Downloading this file will be in two parts - two files. 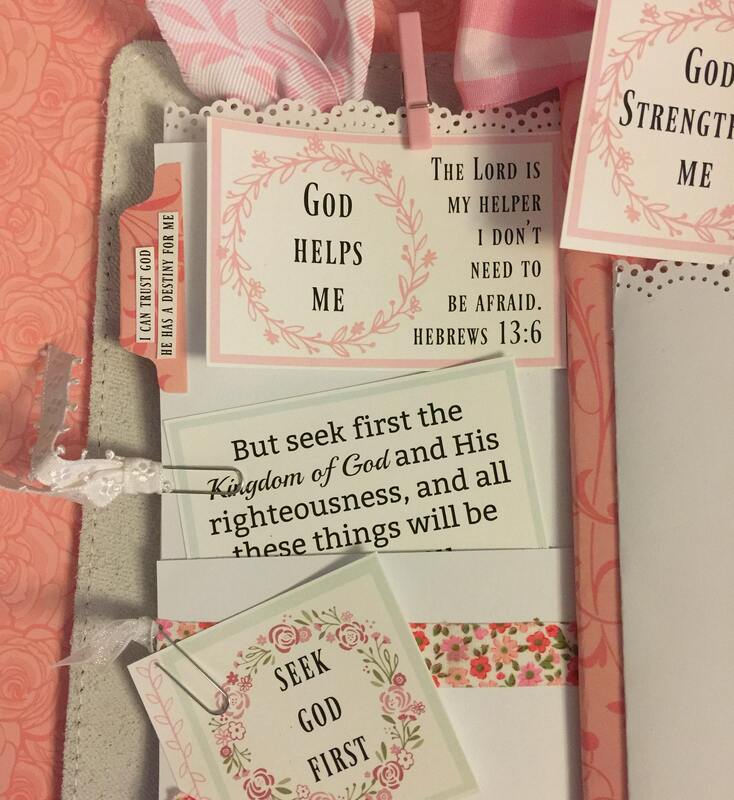 There is a PDF file of the actual decorative Scripture Declaration and Journal Planner cards. These can be printed out on white card stock or a full sticker adhesive sheet. The second file is a how to, giving instructions along with pictures how to cut and embellish the journal planner cards. 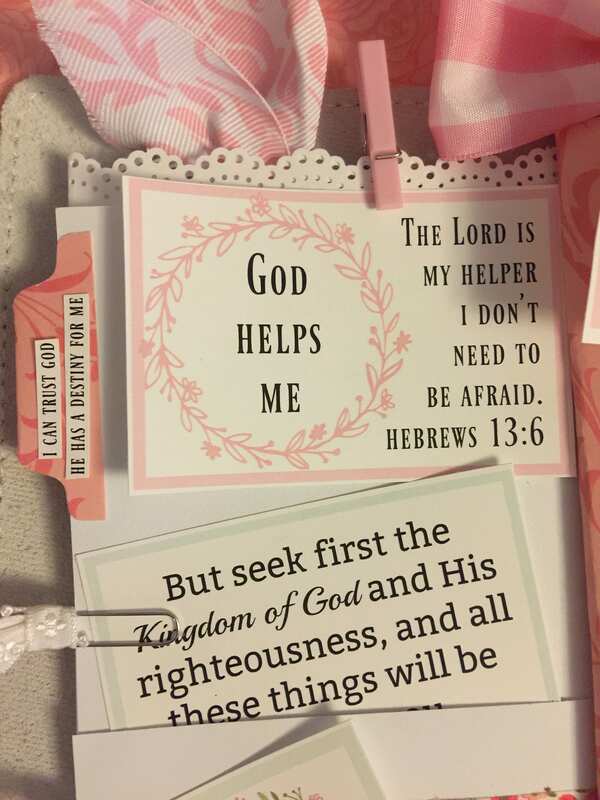 There is also a step by step guideline for making the planner pocket and how to attach it to the inside of a planner or Bible. 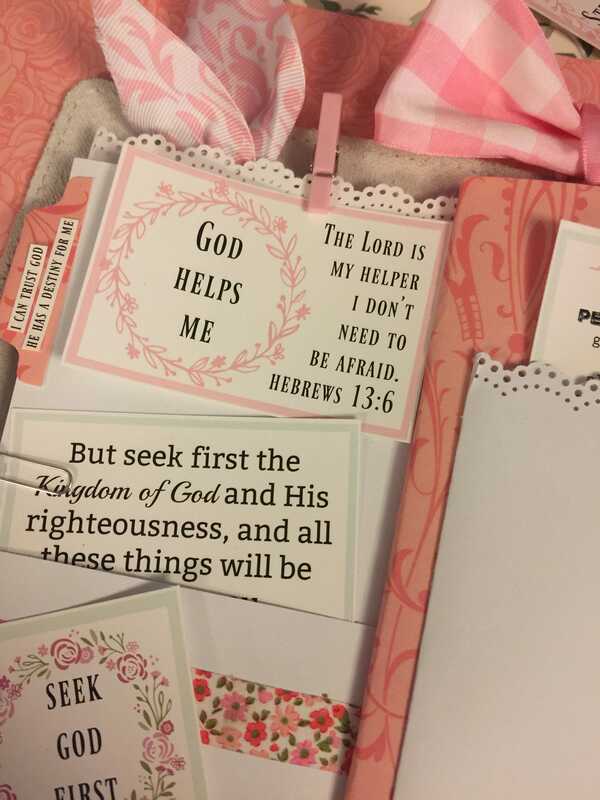 It is a pretty element for holding small planner or Bible Journaling items. This is a downloadable file that you will receive upon completing the transaction. You will not receive anything physical in the mail. This file can be printed as many times as desired. I just ask that you do not share this file or the printables online on any social media channels.